AudioTheme Agent 1.2.0 includes a number of improvements to make it even easier to get help when working with our themes and plugins. The new version is available via automatic updates or can be downloaded in your account on AudioTheme.com. It’s now possible to submit support tickets directly from your admin panel. 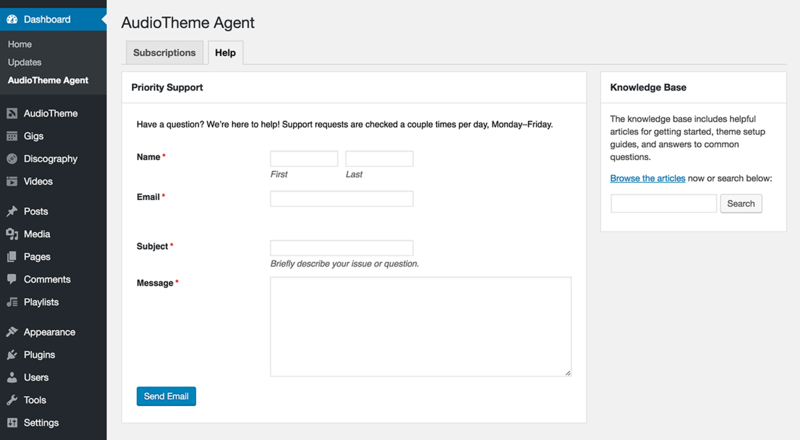 When you visit the AudioTheme Agent screen, you’ll see a new “Help” tab with a form to send us an email directly. 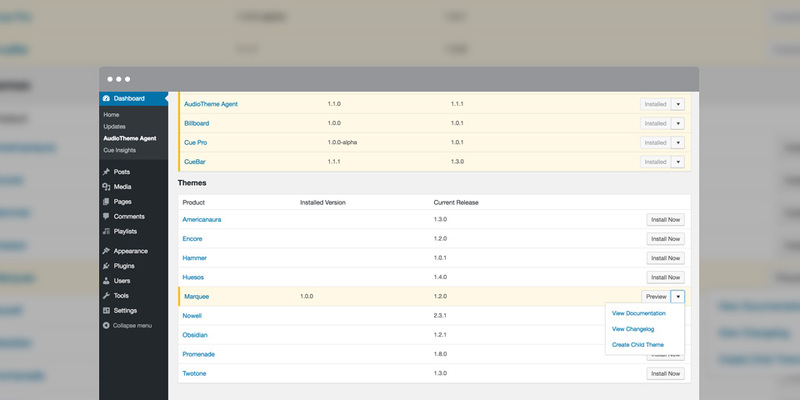 You can also start searching our knowledge base using the search form on this screen. We recommend using a child theme any time you want to customize your WordPress site. In fact, we’ve always included sample child themes in our theme guides, but it still required downloading the child theme and uploading it to WordPress — something the AudioTheme Agent was supposed to alleviate. With this latest release, you can automatically generate a child theme for any of our themes that you have installed. Once you’ve created a child theme, you’ll instantly see links to preview the theme or access the built-in editor to begin customizing CSS. 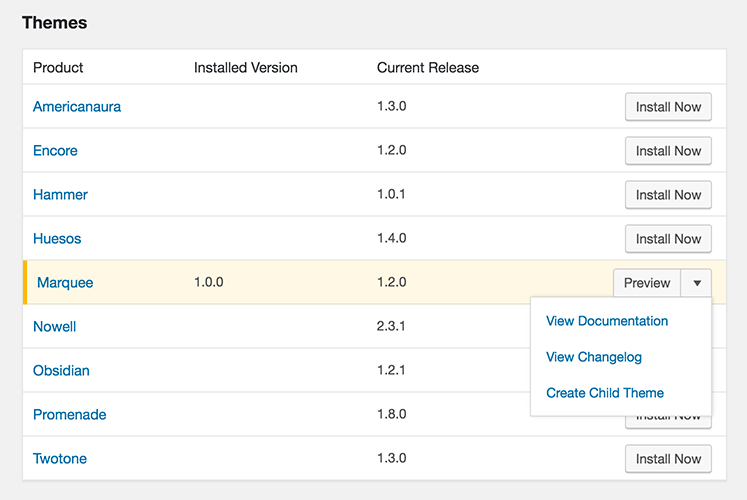 Each product listing also includes helpful links directly to the documentation for that product as well as its change log so you can see what changes were made between each release.